Clara Fernandez-Vara is a game designer and writer. She is an associate arts professor at the NYU Game Center, and co-founder of Fiction Control, a narrative design company. 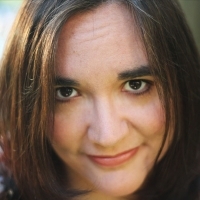 Her area of expertise is narrative in games and how it can integrate with game design, which she has explored both in games for research and in the commercial sphere. The second edition of her book Introduction to Game Analysis, published by Routledge, will be available this Spring.